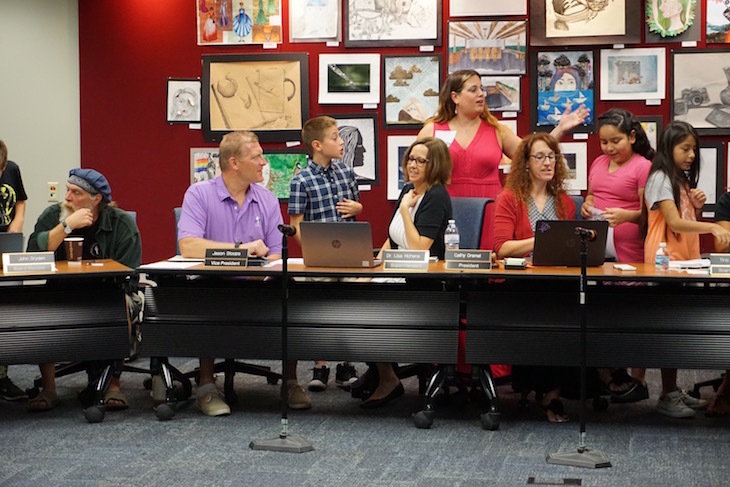 At the Board Meeting, a team of fifth graders from Hoover-Wood Elementary School (a.k.a. 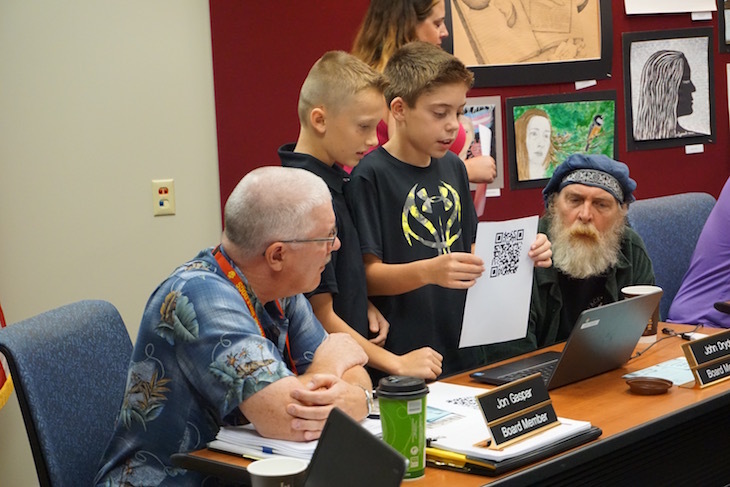 “Chrome Squad”) taught Board Members how to download and use a QR code reader app, and use the online bulletin board, Padlet. Hoover-Wood Instructional Coach Andrea Woods and BPS101 Instructional Technologist Sarah Barrett launched the successful Chrome Squad this fall at both Hoover-Wood and Grace McWayne Elementary Schools. This growing group of BPS101 fifth-grade students are trained to teach fellow students how to use and apply technology in the classroom. It’s kids teaching kids— and both sides of the equation win. FY17 Budget – provides the Board and community with information regarding key budget assumptions and a detailed summary of revenues and expenditures. FY17 ISBE Budget Form – the Board’s official Fiscal Year 2017 Budget, which must be submitted to the County and State and published on the District’s website. 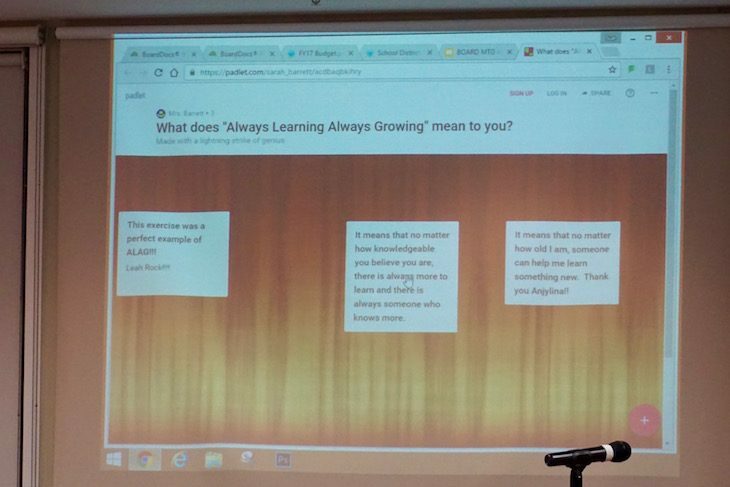 BPS101 Chief Academic Officer Dr. Brad Newkirk explained to Board Members that BPS101 has received authorization from the Illinois State Board of Education to implement a Alternative Learning Opportunities Program (ALOP) for the 2016-2017 school year. 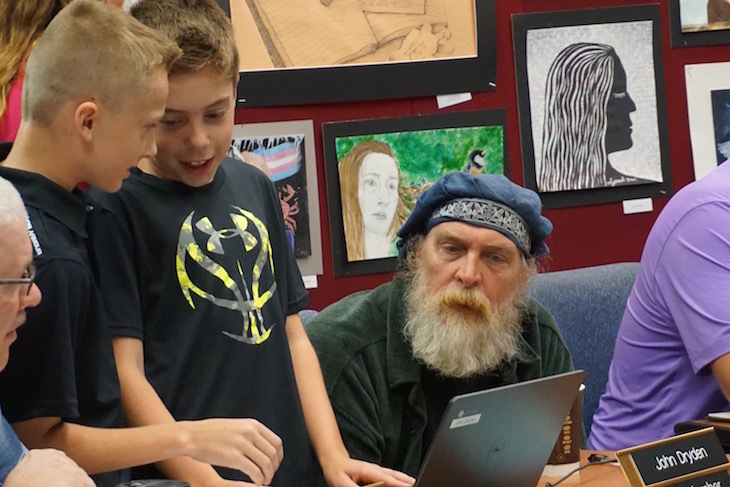 The ALOP, created in partnership with the Kane County Regional Office of Education, is designed to provide a more supportive educational environment for students not succeeding academically. It is, essentially, a school-within-a-school, and each participating student has a customized success plan. Steven Lesniak, current BHS counselor, has been identified as the teacher leader for this program due to his background in academics as well as counseling. He has contributed to the planning and development process and will play a major role in the implementation of each student’s success plan. Mr. Lesniak will team with the District’s Drug and Alcohol Counselor, Kim Boatner, and Social Worker, Lisa Brouch, to provide a supportive, alternative environment for students who are academically at-risk as well as having other risk factors such as issues with truancy, substance use, minor discipline, and mental health issues. The school team has identified more than 30 students who meet the multiple risk factors criteria. The program is slated to launch in late October or early November. The high school’s Building-Level Intervention Team in partnership with the Kane County Regional Office of Education will monitor the progress of the program. Chief Financial Officer Tony Inglese opened the policy discussion by explaining that Board policy is philosophical and sets expectations for the District employees to follow, and a procedure actualizes those expectations and philosophies and puts them into a format that employees can follow and practice. The two policies, 7:325 and 6:100 will be brought back to future meetings for discussion and eventual adoption.